Leslie Baudry has served as Baudry Therapy Center/BRIO’s Chief Operating Officer since 2008. A graduate of Louisiana State University, Baudry earned her Bachelor of Interior Design in 1992. After working in the design field for over 16 years, she decided to join her husband in his venture to open Baudry Therapy Center in 2008 and BRIO in 2012. She recently graduated from the prestigious Goldman Sacs 10,000 Small Business Program in 2015. In her role as COO, Baudry oversees all clinical functions, including strategic clinic growth, protocol implementation, outcomes, customer service, education, training and electronic medical record system. 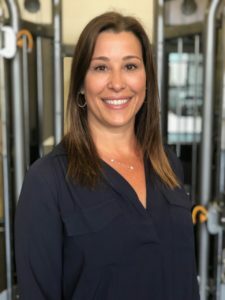 She has played an integral role in providing a progressive clinical operations strategy, resulting in BTC/BRIO becoming the leader in physical therapy in New Orleans. She is an active member of the community, serving on the Mount Carmel Academy Alumnae Board (2003-2012) and chairing the MCA Alumnae tennis tournament for the past 18 years. She received the Mount Carmel Academy Sister Carmelita Danos, O. Carm Service Award in 2002. Baudry is a New Orleans native who resides in Metairie with her husband and three children. She is an avid tennis player who plays competitively in the local tennis circuit.